Horace Rumpole—who never prosecutes, whose fame rests on an infinite knowledge of blood and typewriters, whose court scenes are proverbial, whose home is ruled by Mrs. Rumpole ("She Who Must Be Obeyed")—is back on the defense, as irreverent, as iconoclastic, as claret-swilling, poetry-spouting, impudent, witty, and cynical as ever. This time the judge-debunking barrister-at-law is embroiled with a minister accused of shoplifting, an actress accused of murder, and a racist candidate for Parliament, with art theft and mistaken identity thrown in for good measure. The result is a delightful excursion into hidden corners of the British judicial system served up in typically colorful Rumpole style. Stories include: "Rumpole and the Man of God", "Rumpole and the Showfolk", "Rumpole and the Fascist Beast", "Rumpole and the Case of Identity", "Rumpole and the Course of True Love", and "Rumpole and the Age for Retirement." 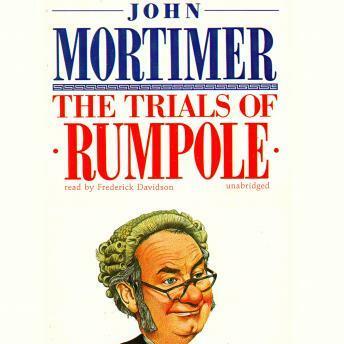 Love reading the Rumpole series and now love the audio version.